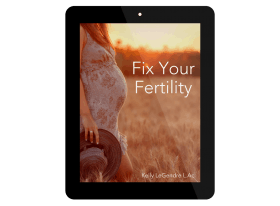 Changing my diet to include less processed foods and more foods made from home helped give my body the nutrients I needed to balance my hormones and start ovulating regularly. But finding new recipes that used good-for-me ingredients AND tasted good was tricky at first. Most of my recipe book used a lot of white flour! 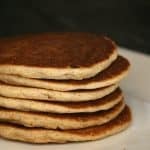 These whole grain pancakes are super easy to make though and take only a few minutes of prep time. 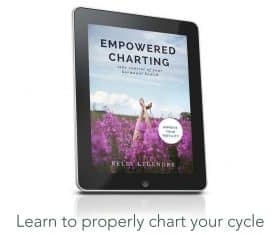 You can even mix them up the night before to help make them even easier for the body to digest (this method is considered “soaking grains” in the traditional food movement). A few months ago I was making our gluten-free pancakes one weekend and ran out of my favorite GF flour blend. I started to wonder about my whole grain rice and millet in the back of the cupboard. – why had I never thought to use my whole grains in the blender?! Could I “grind” whole grains in my blender? 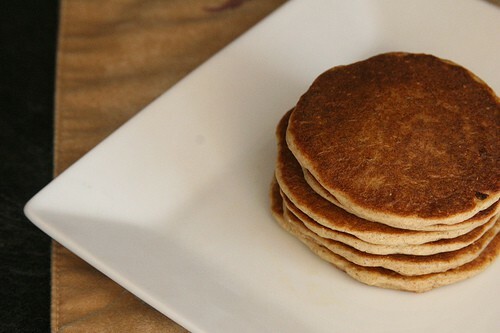 I’ve been testing different grain varieties every weekend or two and I think I finally found a quick and easy way to make traditionally soaked pancakes! These can easily be made gluten-free by refraining from gluten-containing grains (wheat, spelt, rye). If you use a quality Greek-style yogurt, it also adds a nice amount of protein! Top these with some butter and maple syrup. Better yet, grab some berries, smash them, and cook over low heat while you make a batch of these – then serve with butter and fruit! With options for making them gluten-free. Combine the grains, yogurt, and milk in the blender and blend until smooth (depending on your blender this may take up to 5 minutes. Place in the fridge overnight. In the morning, add remaining ingredients and blend just until combined. 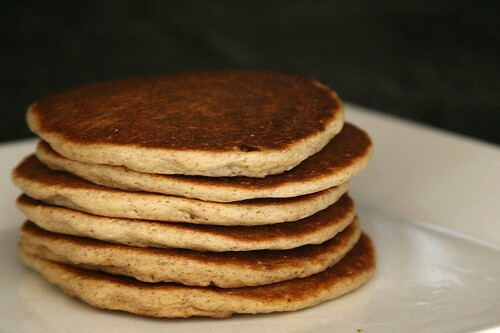 Cook pancakes on medium heat until lightly browned, flip over and until cooked throughout. GLuten-free - Make sure to use GF certified grains like rice, millet, and oats. I usually use 1 cup oats, 1/2 cup brown rice, 1/ cup millet. This may be a dumb question, but if I use brown rice for one of my grains do I need to cook it first? Or do I just use the hard, raw rice kernels? *and totally not a dumb question! I have another “dumb” question: Will pasteurized milk spoil if left out overnight to soak? I can’t get raw milk where I live, and I don’t want to make spoiled pancakes! @Jeanne G., It shouldn’t…….. if you use yogurt – but I’d just use coconut milk instead. 🙂 Buy a can of whole coconut milk and dilute it 1:1 with water, and measure out what you need. Wondering if I can use kefir instead of milk? I am new to soaking and trying to find GF recipes that don’t have lots of sugar or white rice flour has been a bit of a challenge. I am learning the benefits of soaking and have started making and drinking kefir this last week. Thanks for all the great info. Look forward to exploring your website more in the near future. @Jeniver, Yes, kefir will work wonderfully! Just use kefir instead of the milk and yogurt. Hi, I followed your recipe pretty much and mine came out too watery. I did use coconut milk and apple cider vinegar instead of the yogurt but do you know if it could’ve been another reason? @Jon, The batter will be more watery if you don’t use wheat berries and make them gluten free. (like I did) It’s just the nature if GF breads! but they cook up just fine and should be fluffy and ‘puff up’ a bit like in my photo. Even so, the pancakes will be thinner than pancakes made with wheat flour. Thank you for your response, Donielle! I didn’t use any wheat berries so that would explain that. I’m aware that GF flours/grains don’t hold well so I actually put some tapioca flour/starch and some arrowroot powder (not a huge corn starch fan) in there to bind it. @Jon, The tapioca flour and arrowroot won’t necessarily help bind them (with GF products you normally use xanthan gum – though do not use it with these! they turn out wet inside) They basically just work as a regular flour – comparable to white flour in that it may ‘lighten’ the mix. I just made this recipe…I soaked my millet and brown rice in water overnight then drained. I used 2 cups of almond milk and 2 tsp of raw apple cider vinegar (to sour it a little like yogurt) when I made my batter in the blender and substituted 1/3 cup of ground flaxseeds for the eggs. They turned out delicious! Thank you so much! Gluten free and vegan! Yummy! I added 1/2 teaspoon salt and 1/4 cup cornmeal. I used 1 1/3 cup rolled oats and 2/3 cup brown rice… I liked the flavor but the rice was still pretty crunchy. So next time I’ll use mostly oats and just put in 1/4 cup rice for texture. Do you mean the finished product was crunchy or the rice wasn’t ground enough and was crunchy? I find that soaking overnight helps the rice soften an it may also take a few minutes to blend if you don’t have a high powered blender. I have a Blendtec, and yes, the rice was crunchy. That was a little strange, because the grains soaked all day and I blended the batter really well. I’ll give it another shot though; the flavor was great and they came together so quickly! That is really odd! I use a run of the mill blender and it’s never been so coarse as to be crunchy. Of course, you can use any whole grain you have too if the rice doesn’t work out!